Polar specialist, Swoop Arctic, is delighted to announce that there will be a new, small ship available this summer for passengers wishing to take a more comfortable, intimate expedition cruise around the Svalbard Archipelago. 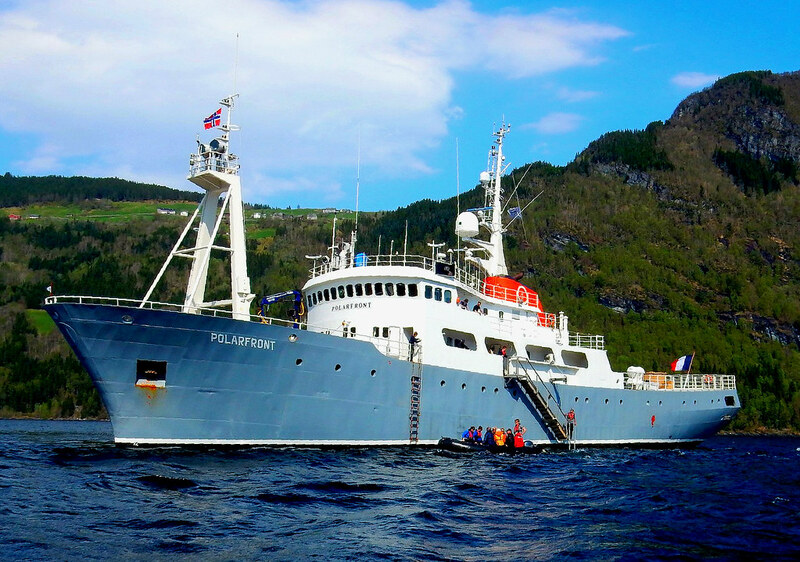 Originally a Norwegian weather ship, M/V Polarfront (IMO: 7608708) has been completely renovated to the highest standards, and now offers accommodation for a maximum of 12 guests in nine double cabins, all with ensuite facilities. Considered to be one of the finest small vessels operating in the Arctic, other features of Polarfront include a spacious lounge, library, outdoor Jacuzzi, sauna and gym. There is also ample deck space for wildlife viewing, together with an easily accessible crow’s nest, ideal for taking panoramic shots of the glorious surroundings. Plus, at the end of a day of sightseeing, expedition landings and scouting for wildlife, the most delicious gourmet meals, prepared by a French chef, will be served in the dining room, accompanied by a large selection of fine wines. In addition, comfort and sophistication combine with safety, stability and maneuverability, which will enable the ship to access inlets and fjords into which larger vessels would not be able to venture. M/V Polarfront will operate out of Longyearbyen in Spitsbergen, gateway to the Norwegian High Arctic. Travellers flock to this breathtakingly scenic location, with its towering fjords, glaciers and snow-capped mountains, in search of polar bears, walruses, Arctic foxes, puffins and whales. The month of July, with its long days and warmer weather, is an ideal time to view the region’s plentiful wildlife. Departure date: June 2018 (sold out) & 4-14 July 2019. Prices from Euros 9950 per person for a 10-night cruise based on two passengers sharing a Polarfront Suite with an early booking incentive of Euros 500 per person for the first three suites booked. Accommodation and all meals on board are included, as well as non-alcoholic drinks and excursions on one of two mark V zodiac boats.